Welcome to Growing in Unity Wednesday! 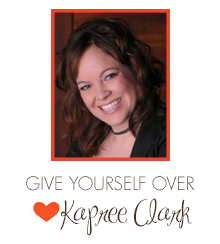 This week Kapree Clark is up sharing her Unity creations! "My name is Kapree Clark, I am wife to an awesome man, and mother to two beautiful children, I love to craft! I consider it my therapy, and I find it can be very relaxing. I have been seriously crafting since about 2006 and I started with scrapbooking, went to cards, now I do mixed media, canvases, art journal, altered art…just about anything I just love it all! I love music and movies and it shows through in my art, I have a passion for all things horror/Gothic and that really shows! I'm really excited to be the "Growing in Unity" girl this week, hope you enjoy it and get inspired by me in some way!" Be sure to visit Kapree's Blog each day this week for inspiration and your chance to win 2 itty bittys!